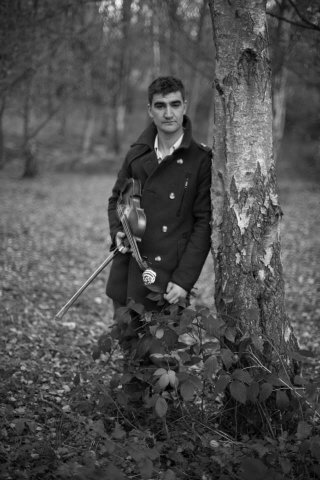 I began playing the violin after I was inspired by Irish music. I quickly started playing for ceilidhs and concerts, remaining entirely self-taught throughout. As a result, I have developed a unique and rewarding style of teaching that builds on my experience as a self-educated violinist. I have been teaching all of my professional life, focusing predominantly on young beginners. I have spent 9 years teaching, both privately and in schools. I have also worked extensively with SEN students, such as those with autism or PMLD. My lessons are all about having fun, exploring music and developing a deep and lasting bond with the instrument. I am able to prepare students for grades, or use milestones such as performance and grade-standard pieces to quantify progress. I like to combine learning to read music with learning to play by ear, as it results in a much more well rounded musician. This also means improvisation and harmony all come naturally to my students. I am able to teach any age or ability, but my specialities are beginners, and those looking to play in a traditional style (Irish, English or Bluegrass). Get in touch to start your journey on the violin.